The Punisher has been riding on the waves of high anticipation since his character debut in season 2 of Daredevil. But much, if not all, of that excitement died out in the wake of the Las Vegas shootings. Marvel Television respectfully pulled their NYCC panel, which was rumored to unveil the release date. At the time, some believed that the series would be released this month. 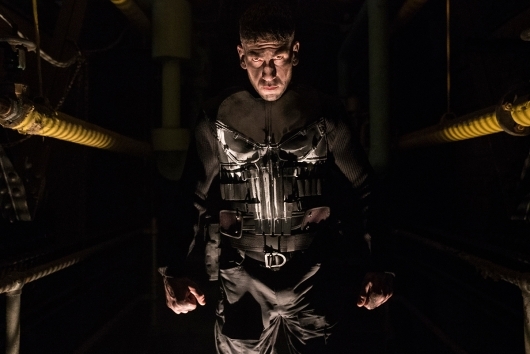 But a new trailer confirms that The Punisher can be streamed next month. Check out the full trailer below. Netflix’s Marvel TV universe has seen great success and fan appreciation with their four original series — Daredevil, Jessica Jones, Luke Cage, Iron First — and latest ensemble miniseries The Defenders. 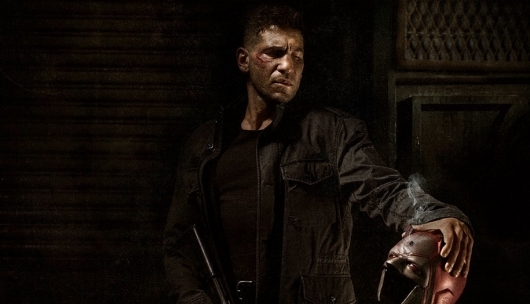 But one of the biggest surprise hits to come out of this universe — specifically from Daredevil — has been Jon Bernthal‘s Frank Castle aka The Punisher, who is now getting his own spin-off series. Netflix has released a new teaser trailer for the upcoming series, Marvel’s The Punisher. Watch the teaser called “Demolition” here below. It’s hard not to enjoy what Marvel has been offering on Netflix. Recently we’ve seen some trailers for Iron Fist, the fourth Marvel series following Daredevil, Jessica Jones, and Luke Cage, which arrives on the streaming platform early next year. That will be followed up by the ensemble series The Defenders, which sees all four titular standalone heroes unite to defeat a yet to be revealed villain, which is rumored to be The Hand. While all of that is going on, Netflix and Marvel are currently working on The Punisher. At first, it was thought that the Daredevil spinoff series would be released sometime in 2018. But now, it has been confirmed that it will instead be released in 2017. Check out the full story below.